Former Sen. David Sibley, R-Waco, wants his old job back. The senator-turned-lobbyist has been hinting for a couple of weeks and now says he'll be a candidate for his former seat now that Kip Averitt is resigning. Averitt filed for reelection and then — after it was too late to get off of the ballot — decide he doesn't want to serve another term. He won the Republican primary anyway, beating Darren Yancy of Burleson with about 60 percent of the vote. Last week, Averitt resigned — effective today — setting up a special election to replace him for the remainder of his current term. If he withdraws his name from the nomination for another term, which he hasn't done yet, he'll be replaced on the ballot by the chairman of the GOP in the ten counties in the district. Those folks won't be bound by the outcome of a special election, but it might carry some weight. Republican leader, former Baylor basketball star and longtime Waco resident David Sibley announced Wednesday he is running in the May special election to represent the State Senate district he formerly served from 1991 to 2002. The Texas Senate District 22 seat officially became open upon the resignation of Sen. Kip Averitt, and Gov. Rick Perry is expected to call a special election. “This is a critical time for all families in State Senate District 22 and for Texas,” Sibley said. “Not only will legislators be grappling with a possible $15 billion state budget deficit and a list of other challenging issues, but they will be undertaking the contentious task of redistricting. “I believe I have a proven conservative track record at getting results, the understanding of the legislative process and the familiarity with issues of importance to Senate District 22 that will benefit all 10 counties in the district during this tough upcoming session. More importantly, my passion for the residents of the District is as strong today as it was when I last had the honor of serving them. Sibley is planning to travel to each of SD 22’s 10 counties in the coming weeks to announce his candidacy and visit with local residents. 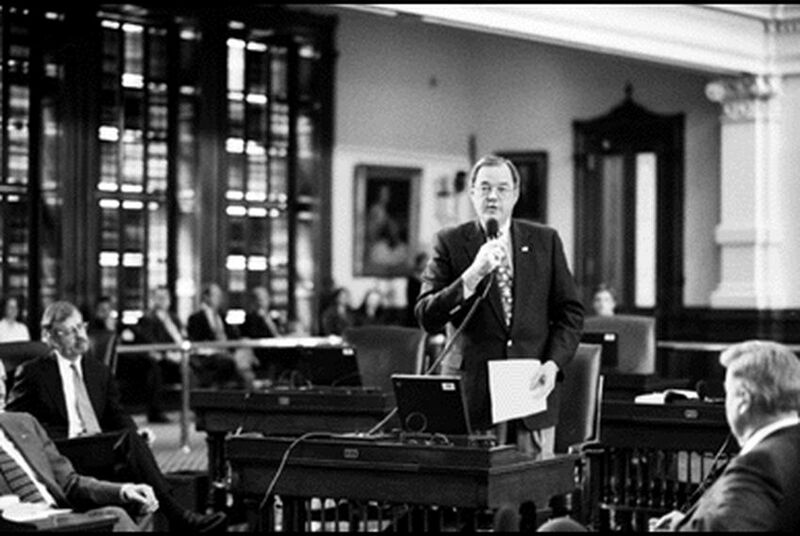 Of the 10 counties, Sibley represented all but one during his past public service career in the Texas Senate. Sibley, a graduate of Baylor University, Baylor College of Dentistry (with honors) and Baylor Law School, practiced oral and maxillofacial surgery in Waco for seven years before starting his career in public service. He served as Mayor of Waco and as a criminal prosecutor in the McLennan County District Attorney’s office before his election to the Texas Senate in 1991. A key conservative ally of former President and Governor George W Bush, Sibley served as chairman of the State Senate’s Business & Commerce Committee for four legislative sessions. He earned numerous state and national honors for his legislative initiatives, and carried landmark legislation to protect patient rights through health insurance reforms, create jobs, restore balance to the civil justice system, create competition in the telecommunications and electric utility industries in Texas. Sibley also met specific needs of his District 22 constituents by creating new courts, hospital districts and groundwater districts; empowering local governments to control growth; ensuring the funding of projects at universities within SD 22; and passing other local bills to benefit his constituents. Sibley left the Senate in January 2002 to open a law and government relations practice. He officially closed the government relations practice of his law firm on March 12, 2010, in preparation for the state senate special election. A sixth-generation Texan, Sibley and his wife have been married 40 years and live in Waco. Both are very active in their church and have been long time Sunday school and Bible class teachers. They have three grown children, all Baylor University graduates, and three grandchildren. David was captain of the Baylor Basketball team in 1969-1970 and earned “Honorable Mention” distinction on the All-Southwest Conference basketball team.